Perhaps the greatest film director of all time, Alfred Hitchcock’s amazing body of work, made over fifty years, is still as good today as it was when first released. Here’s the ten best. Alfred Hitchcock is one of the most renowned and influential film directors. His career ushered in two key periods of cinema history – the arrival of sound and the introduction of colour. He perfected his art in both disciplines, reverting back to black and white when he felt the need, and mastering not only silent pictures but sound and colour ones too. Hitchcock, surprisingly, never won an Oscar for Best Director but he did lose out to John Ford and Billy Wilder twice so remained in good company. For many, however, he is the greatest director who ever lived. The following ten films are my picks for his best work. What are your favourite Hitchcock films? Hitchcock could do grandiose – the sumptuous San Francisco locations of Vertigo and cross-country action-adventure of North By Northwest, but he could also do intimate, character pieces that used minimalist theatre staging as in Dial M For Murder and Rope. Lifeboat sees the director utilise the single location to tell the tale of several survivors during a World War II U-boat attack in the North Atlantic. The British survivors pull together to help each other through the trauma but it isn’t long before they pick up another survivor. The man they bring on board happens to be the German U-boat captain who sank their ship. Should they give him shelter or throw him back into the sea? The dilemma threatens the harmony of the lifeboat. This 1944 film was made before the end of the Second World War and was as much a celebration of British bravery and humane nature of the allied forces in the face of battle, as it was an indication of the technical mastery of Alfred Hitchcock. Hitchcock wanted a change from the melodramas he had become known for in the UK. Lifeboat, from a story from renowned writer John Steinbeck, gave him that opportunity. 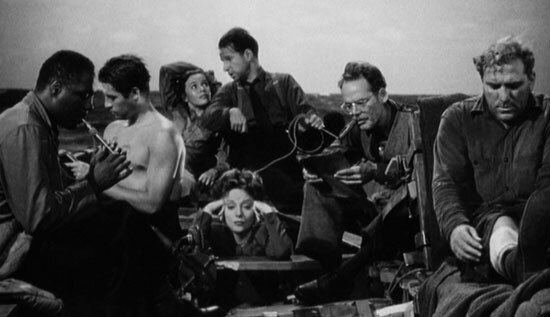 Filming the entire film on the lifeboat also posed a difficult proposition for Hitchcock – how could he make a dramatic film interesting for an audience when the characters don’t go anywhere. Steinbeck, who was originally brought in to write the screenplay felt too restricted by the single location and writing duties were turned over to Jo Swerling and Ben Hecht. What transpires is one of Hitchcock’s best films – minimalist, singularly located, character based. Frederick Knott wrote the original play that formed the basis for Dial M For Murder. It was written in the early 1950s, debuted as a BBC television play, and then had stints on London’s West End and New York’s Broadway. 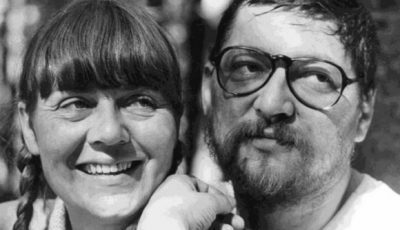 Several years later Knott would write his only other successful play – another single location thriller called Wait Until Dark starring Sudrey Hepburn. 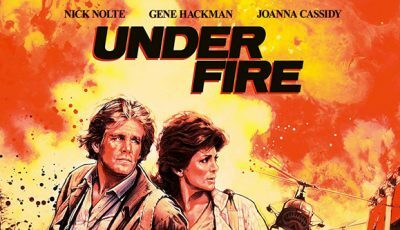 Both films are supreme examples of well-crafted, brilliantly characterised suspense stories. 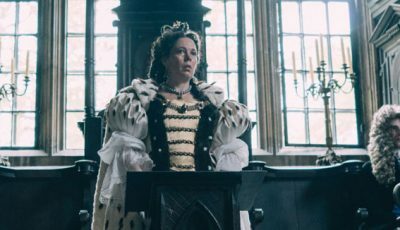 They feature Knott’s favoured trait of an innocent woman trapped in a seemingly lawless situation. They are also based almost exclusively in the apartment of the victim. Dial M For Murder is great because it’s so simple. It’s delivered with style and controlled elegance by Hitchcock, that makes the unspectacular nature of the set and the action thoroughly spectacular. The ticking time-bomb moment when Tony Wendice (Ray Milland) realises his watch has stopped and he’s late making the call to his contract killer, most probably botching the entire plan, is simple in its construction but perfectly executed. It’s a sequence of high tension, beautifully edited together to show the three character’s unpredictable situations. Running as a constant throughout is innocent Grace Kelly and the will-she-won’t-she predicament of her impending murder. 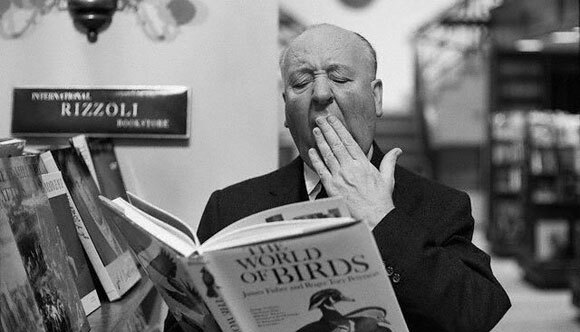 Alfred Hitchcock liked to push the boundaries of cinema. He was also acutely technical minded. Rope presented him with a unique opportunity to show audiences something they hadn’t seen before while testing his own skill with the camera. Shot in a single location with reel-long takes, Hitchcock pieced the film together in a way that made it appear as a completely unedited film. Film reels last about 11 minutes and so each take lasts the same length of time with the cut cloaked by blacking out the screen with a character or a prop. In many ways Rope shares similarities with the stage – the actors having to get their lines right first time around, and the location remaining in one place. When you consider that it had never been attempted before and the fact the cameras in the 1940s were huge, bulky, heavy contraptions that required several people to move, Rope is even more enthralling. The film follows the aftermath of a murder. Two friends played by Farley Granger and John Dall, hide the body in a trunk they use as a buffet table. They then invite acquaintances of the dead man, including intellectual James Stewart, to the apartment to show off their skills to carry out and cover up the perfect murder. It’s a sadistic film but blackly comic with undertones alluding to a homosexual relationship between the two murderers. Such sexual references were overlooked by censors at the time who would have undoubtedly demanded cuts or re-writes. The skill of Hitchcock and writers Hume Cronyn and Arthur Laurents was to reference a possible gay relationship between Granger and Dall without being crude or obvious. There is only one bedroom in the apartment the two men share, for instance. Psycho is undoubtedly Alfred Hitchcock’s most well known film. Ask anyone to name a Hitchcock movie they’ve either seen or at least heard of, it’ll be Psycho they’ll mention nine times out of ten. It’s popularity is in many ways down to its influence on cinema in the 1960s and 1970s, particularly on the slasher genre, where notable directors such as Tobe Hooper, Wes Craven and John Carpenter reference Hitchcock’s classic as motivation to their own horror greats. It could be argued that without Psycho there would be no Halloween or Texas Chainsaw Massacre. It is also the fault of Psycho – the first film of Hitchcock’s many people see – that gives audiences the wrong impression of the director. Psycho would suggest Hitchcock is a man of implied violence and supernatural, gothic horror. But Psycho, along with The Birds, are the only films in Hitchcock’s body of work that could be classed as horror. He would of course call them suspense films or thrill rides, but Psycho and The Birds deviate from Hitchcock’s predominant storylines by introducing strong fantastical elements. That could suggest the reason why Psycho is at once many people’s favourite Hitchcock movie, as well as being many people’s only experience of Hitchcock. And Psycho is a great film. It takes chances, and for the time it was released, was way ahead of its time. Janet Leigh, the original scream queen and interestingly mother to perhaps the most famous slasher screamer of all time Jamie Lee Curtis, is our star. But straight away Hitchcock introduces us to her as a thief, and then before the film reaches its halfway point, she’s murdered in one of the great scenes of horror cinema. Leigh checks in at the quiet Bates Motel. She meets Norman Bates who appears mild-mannered and benign. She goes to her room and takes a shower. Suddenly, an old lady enters the room and stabs Leigh to death. The rest of the film is about her family and the police investigating her disappearance and uncovering the identity of the murderer. It’s beautifully macabre, the black and white photography perfectly encapsulating the foreboding atmosphere and menace of Norman Bates’ castle-like home. The film also features one of Hitchcock’s most disturbing final sequences which is as simple as it is effective. The 39 Steps was Hitchcock’s first real success. Today, it is widely considered his best British film, and in many critical circles, his finest film of all. Notably, it introduced audience’s to one of Hitchcock’s favourite concepts – the wronged man. Here, Robert Donat’s Richard Hannay unwittingly becomes involved in a spy plot after meeting a woman while holidaying in England. The woman mysteriously dies and he finds himself handcuffed to Madeleine Carroll and both have to evade capture while uncovering the mystery before they both end up dead. The 39 Steps shares a lot with Hitchcock’s later film North By Northwest. But it stands out as one of, if not, the best of his pre-American period of filmmaking. And thanks to Hitchcock’s technical genius, the film has stood the test of time very well. Before Vertigo was re-evaluated and became known as the best Hitchcock movie amongst the critical elite, Shadow of a Doubt was considered the director’s best film. That was a sentiment shared by the director himself who viewed the film as his greatest achievement artistically. Less flashy than Hitchcock’s later American films, Shadow of a Doubt has more in common with the slow-burning tension of Psycho than it does with the technical ingenuity of Rear Window or the action-adventurism of North By Northwest. It is more a character study focusing on a young girl named Charlie and her uncle, also named Charlie. Teresa Wright, who plays the girl, is thrilled when her uncle comes to stay with the family, but her glowing admiration of the man turns sour when she begins to suspect he is the Merry Widow Murderer – a serial killer on the run from police. When Uncle Charlie (played with particular aplomb by Joseph Cotton) learns of his niece’s suspicions he decides he must plot her own demise in order to protect his interests. The two terrific central performances and a heightened level of tension created through a unique dynamic between two characters who initially have great affection for one another, makes for one of Hitchcock’s most interesting and rewarding films. Pauline Kael proclaims on the DVD cover that North By Northwest is “one of Hitchcock’s most entertaining American thrillers.” If Hitchcock made a James Bond movie it would be something like this. North By Northwest, along with Psycho and The Birds, is probably one of the most widely seen of the great master’s films. It’s certainly one of his most accessible and a great introduction to the director’s work. 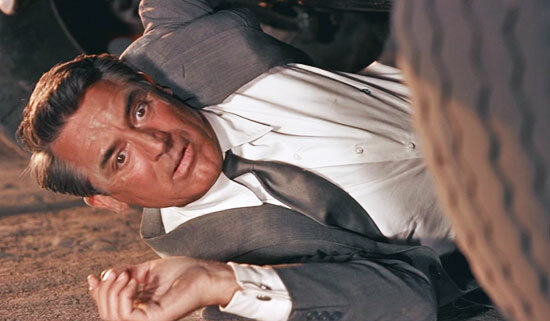 Cary Grant is Roger Thornhill, the wrong man caught in an ever-tightening web of intrigue, corruption and murder. He’s tracked across America by enemy agents, government officials, and the police who all want him for something only he hasn’t a clue what that something is. Fleeing for his life and his sanity, Grant, playing Thornhill as a suitably suave and sophisticated Bond-like good guy, dodges bullets and planes as he tries to stay alive. It’s fast-paced and energetic, frequently funny thanks to Grant’s perfect timing, and, of course romantic, with Eva Marie Saint appearing as the protagonist’s muse. Hitchcock also provides us with one of his most memorable final sequences with the iconic depiction Mount Rushmore. Hitchcock also loved sexual innuendo and there was no one better to implement such a gag than Cary Grant. The film concludes with one of the great cuts and final shots of any of Hitchcock’s films. 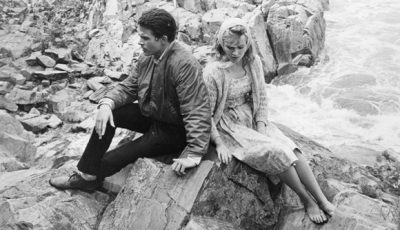 Grant, clinging to the edge of Mount Rushmore, tells Eva Marie Saint, who is hanging on to a ledge, to reach for his hand. She cries out that she can’t do it but he reassures her. As their hands finally meet, Hitchcock cuts from the cliff edge to a train compartment where Grant lifts Saint on to the bed. They begin to kiss and Hitchcock concludes by cutting away to an exterior shot of the train entering a tunnel. David O. Selznick was instrumental in bringing Hitchcock to America and helping him to establish a career in Hollywood. 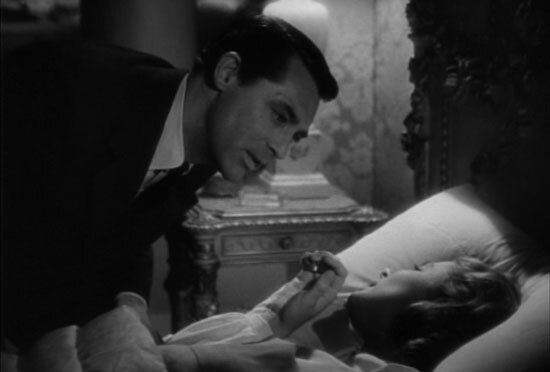 However, Notorious was the film where Hitchcock realised Selznick was actually compromising his genius. Selznick had previously brought Hitchcock together with writer Ben Hecht and star Ingrid Berman for the psycho-drama Spellbound in 1945. Selznick assembled the same group for Notorious but Hitchcock managed to keep the powerful producer at arms length, finding the creative process, and the eventual final product, much more satisfying. Notorious is one of Hitchcock’s earlier American movies but the traits that would signify his films during his Hollywood golden period are there for all to see – the beautiful female lead, the romantic sub-plot, espionage and political intrigue, and of course brilliant use of the camera. Cary Grant recruits Ingrid Bergman at the end of the Second World War to infiltrate a group of Nazi exiles in Argentina. Bergman, under the strain of Grant’s clinical spy, marries Claude Rains’ Nazi but has a romantic attachment to Grant. Hitchcock turns the tension up when Grant is forced to save Bergman from this group before they discover she is working for US intelligence. Interestingly, the film featured the longest on-screen kiss at the time it was made. Another example of Hitchcock’s ability to push the boundaries of the medium and do things others hadn’t attempted before. 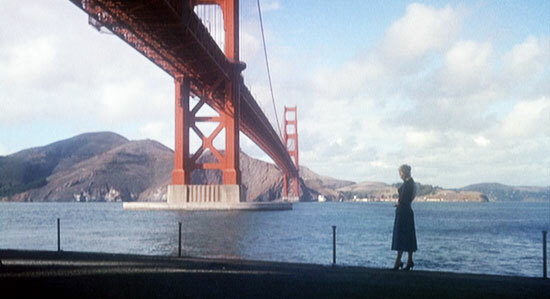 Vertigo is Alfred Hitchcock’s most personal film. It is also arguably his most unique. The usual traits are there – a mysterious femme fatale, a tale of intrigue and discovery, a protagonist set to a task that leads down a destructive and dangerous path. But, while murder and Hitch’s great fascination with getting away with it, plays its part, Vertigo is more interested with the characters involved. 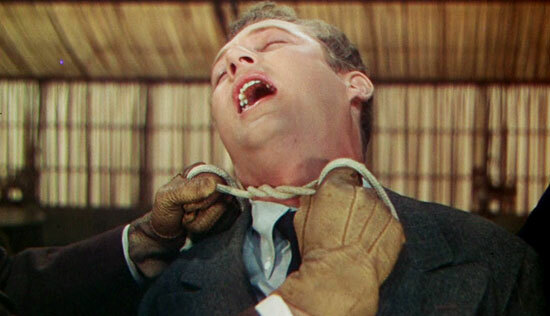 Here, Hitchcock regular James Stewart plays an acrophobic ex-detective. He is hired by a friend to follow his wife who he believes is possessed by a nefarious spirit. Kim Novak plays the wife and quickly Stewart discovers not all is as it seems. Disbelieving his friend’s accusation of possession, the height-fearing sleuth finds the woman living the life of a dead lady named Carlotta. She dresses like Carlotta, goes to the house where she lived, stairs at a painting of the woman in a museum. But all the while Stewart is seduced by her beauty and begins to feel pity. There is something wrong with her and he wants to help. 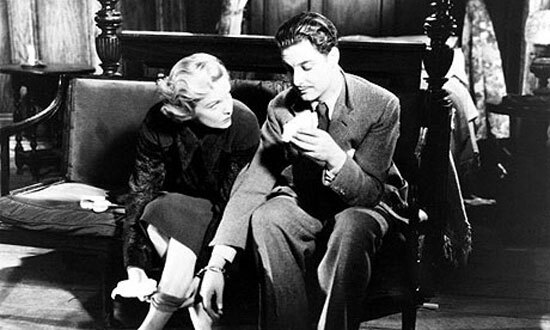 The film is as much about Stewart’s obsession with this seductive blonde (and by extension Hitchcock’s own attraction to women of similar stature) as it is about solving the mystery. And while the mystery is there, it is less prevalent when compared to other Hitchcock movies. When Stewart saves Novak after she throws herself into the bay, their stunted relationship takes shape but is cut short when she flees up a church bell tower and commits suicide. Stewart tries to prevent her but his fear of heights forces him to stop his ascent up the bell tower stairs. He then hears a scream and sees the woman’s body fall to the ground. At an inquest held shortly after he is blamed in part for not preventing the death but the woman’s husband lays no blame on him. The death is deemed as suicide. But Stewart can’t stop thinking about the blonde beauty. He was and still is in love with her. When he finds another woman – a brunette – with strikingly similar looks to his friend’s dead wife, he follows her and requests that she accompany him to dinner. It’s at this time Hitchcock uses one of his great ploys. The director always felt that suspense was not about hiding information from the audience but about giving the audience knowledge the characters did not know and allowing us to enjoy the character’s discovery of the mystery. 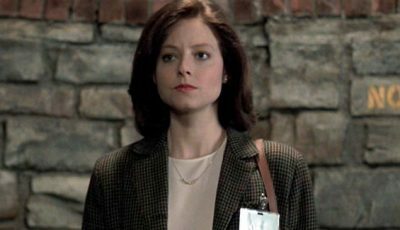 When Stewart finds this brunette, Hitchcock allows us in on the mystery through flashback and now we must eagerly await the ex-detective’s possible discovery of the facts. It’s a wonderful scene which firstly involves a handwritten letter to Stewart that is read out by the culprit. We are suddenly privy to the mystery but the character screws up the letter and throws it away. It’s a wonderful sequence that leaves the audience wondering just how Stewart might discover the plot against him. Vertigo is a great film and has become one of the director’s most popular and widely loved movies. It is a regular top 10 film in Sight and Sound’s poll of leading critics and filmmakers, and is considered by many as Hitchcock’s greatest work. Many will remember it for the track and zoom shot the director used so perfectly which involved the camera being pulled back while simultaneously zoomed in to create a warped, hallucinogenic view that worked beautifully to display a person’s fear of heights. 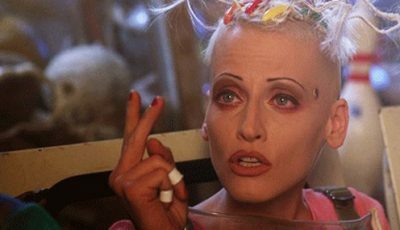 And the director’s trademark locations are also brilliantly used such as the attempted suicide into San Francisco Bay with the Golden Gate Bridge in the background. Vertigo will affect viewers in different ways. It is a film that begs to be watched over and over again. Hitchcock regular James Stewart teams up with ravishing beauty Grace Kelly in one of the maestro’s most entertaining films. Stewart is apartment-bound because of a broken leg. Grace Kelly, his girlfriend tends to him on a daily basis while he recovers. The curious Stewart spends his days watching the various occupants of apartments from his window. One day he believes he witnesses the lead up and consequent cover-up of a murder. With no evidence he must try to convince his girlfriend and the police to investigate. Alfred Hitchcock was a master with the camera. 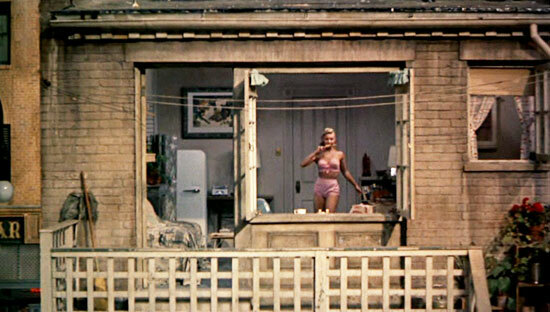 In Rear Window we see that mastery displayed in all its glory precisely because it is constrained to one location. The actual camera movements for the majority of the film total a distance of around fifteen feet. Hitchcock’s camera only leaves Jefferies apartment for a brief few moments at the end of the movie. At all other times, the camera and therefore the audience, is locked away with Jefferies in the apartment, seeing the world as he sees it from his window. To maintain not only a dramatic narrative but a visually enthralling film with that kind of constraint is a mark of Hitchcock’s technical genius. And that’s the brilliance of Rear Window – arguably Hitchcock’s finest film – in that our world is localised and subjective. Hitchcock makes us complicit voyeurs. We see as Jefferies sees. We are given no prior knowledge and are privy to nothing outside of Jefferies’ experiences. This presents us with a unique sense of suspense – an authentic, personal sense of mystery. Although Jefferies believes he has witnessed wrongdoing we as an audience don’t have to believe him. We have the same evidence but can interpret it any way we please. The suspense comes from our inherent support for the protagonist; a hope that in the end he’s proven right. It also comes from our own desire to be proved right – did the neighbour commit murder and hide the body? We as an audience have probably come to our own conclusion, which may or may not coincide with Jefferies, and we await (with fingernails bitten) the justification or otherwise of our verdict. Written and compiled by Daniel Stephens. For all the latest top 10s, reviews and competitions follow Top 10 Films on Twitter! Your turn – what are your favourite Alfred Hitchcock films? I have seen quite a few Hitchcock film and I have yet to see one I didn’t like. A top 10 would be tough. Can’t really disagree with any of these choices, they are all great films (although I’ve never seen Notorious or 39 Steps). I love The Birds and Spellbound and I know it isn’t one of the more popular Hitchcock selections, but I love Frenzy too. Frenzy is a great film, I think so… Did you see North by North West? It also a nice movie. No The Birds? Dan? No love for flappy birds? Glad to see you included The 39 Steps… I saw this back in october for the first time on TV late one night, and was pleasantly surprised at just how well it holds up even after all these years! I would think that Psycho, Vertigo and Rear Window would be my top 3, with Birds at 4 and most of the rest rounding out the top 10. Interesting combination as well as ordering of the films. Given a chance to do my own ordering, I’d place Psycho right at the top without any hesitation, so I was quite surprised at the 7th spot you gave it. But it has Rear Window at the top, which ranks next only to Psycho in my opinion, so that sort of pleased me. Vertigo is there right behind, and it sure ranks alongside Rear Window at the top of most Hitchcock polls. Dial M for Murder doesn’t seem to find many takers, so I was really happy to see it included in the list. There are a few films in the list that I haven’t checked out yet, so got to do that sooner rather than later. A very good list overall. @Goregirl: I’m a big fan of Frenzy too. It would probably make my top 15 list. @Rodney: I’ve always liked The Birds but never thought of it as one of Hitchcock’s best, certainly not top 15. @Shubhajit: I feel Dial M For Murder is unfairly underrated and doesn’t seem to get talked about as one of Hitch’s best amongst the ‘critical elite’. For me it’s a brilliant example of minimalist location and tightly paced thrills in much the same way as Rear Window or the similar Wait Until Dark with Audrey Hepburn. Plus, I love to see Grace Kelly in Hitch’s films. Brilliant list, Dan. Very well considered. You certainly know your Hitchcock! My favourite has always been Vertigo. Mainly because it has such delightfully dark undercurrents to it. Thanks Richard. Vertigo is an interesting one isn’t it. Critics didn’t warm to it when it was first released and yet now, not only is it rated as Hitchcock’s best by many, but it appears on lots of all time top movie lists. It’s been a mainstay in Sight and Sound’s yearly all time film polls. Part of the reason I rate it so highly is because it seems to get better with every viewing. Whether that means in a few years time it’ll be my number one Hithcock film, I don’t know. No THE LADY VANISHES – I always think that 39 Steps and Lady Vanishes are as good as each other and, if I were to do a top 10 hitchcock, i would have to place both of them close to each other! 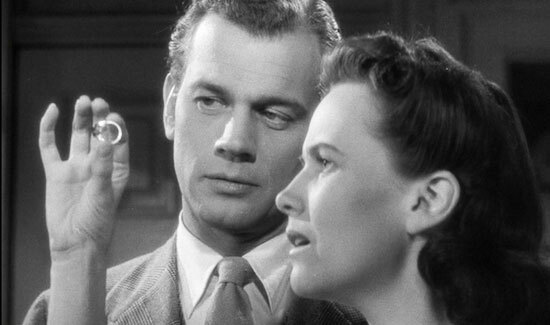 @Simon: Yep, The Lady Vanishes is one of the Hitchcock films that I love and it was very hard to leave it off the top 10. But of his earlier British films I decided to go with Lifeboat and The 39 Steps. The Lady V would be top 15 definitely. Great list! I’m not as well versed in Hitchcock as I’d liked to be, but Rear Window, Vertigo, North by North West and The 39 Steps would probably top my list. I’m also quite a big fan of Rebecca – any thoughts on that one? @Tom: I’m a big fan of Rebecca too. It’s so difficult picking a top 10 Hitchcock as he never put a foot wrong between the 1940s and early 1960s. So many great films to choose from, and so many great films to leave out. I put off making this top 10 for a long time because of that reason – couldn’t pick ten films for the list. But ended up deciding to just go for it and I’m pretty happy with the ten I chose, and the order I placed them in. 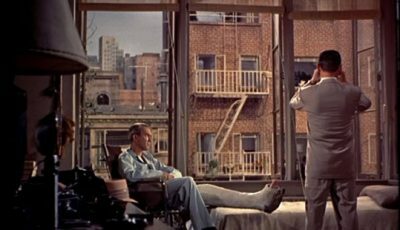 Rear Window was always going to be number one as it’s one of my favourite films of all time. Good list, glad to see you’ve added The 39 Steps a brilliant early Hitchcock film, I would also add The Lady Vanishes. I haven’t hesitated putting Psycho at number 1 as I believe it best shows Hitchcock’s rare talents as a film editor (he was not only the master of suspense, he was the master of montage). The famous shower scene contains over 70 cuts in a mere 35 seconds! Each individual cut was carefully planned prior to shooting the film by Hitchcock himself. A very good list and, as someone said, well-considered. My favourites don’t always coincide with critical opinion – I dislike Psycho,e.g. because I dislike that type of horror film, but see why everyone else has to include it. Well Dan, since I’ve only seen 3 films by Hitchcock, I can’t make my top 10 yet. So far North by Northwest is my favorite, followed closely by Spellbound mostly because I LOVE Gregory Peck 🙂 Thanks for the info, very helpful as I catch up on watching more Hitchcock classics. Am I the only person not to like Vertigo? I’ve seen it twice and not only do I not think it’s a top Hitchcock film, I think it’s well below par. Rope, Dial M and Notorious would have been nowhere near my own personal Top 10 and I believe professional critics would agree with me. Rebecca would have been in the Top 5 and Psycho would have been much higher. Still, I enjoyed your article. My all-time favourite director. Rope has to be my favourite becasue I love how claustrophobic it is. After that probably North By Northwest. Lovely write-up. Epic List. I own all of these films and hold them all in high regard. I am such a Hitch Head. Good job! Great list, I’d probably have North by Northwest closer to the top simply because of Cary Grant, a quick swap of it and Vertigo and I’d be happy :-). Shocking confession time – I really don’t like The Birds. I found it to be overly melodramatic and the characters were so unlikeable that I wanted to see their eyes being pecked out. And really? No-one thought to pick up a shotgun or go “shoo”? Pleased it isn’t on the list. Haven’t seen The Lifeboat, must check it out. forget that the murderer got away with it! I’m in the minority in that I can’t stand Notorious. Probably the film where Hitch shows his colors as far as his gender issues goes as he expects me to somehow care about a lead romantic couple where the man treats the woman like a doormat and she gladly takes it like the abused woman she is. I’m also not the biggest fan of The 39 Steps, it’s a quality film, but it’s like a test run for North By Northwest and pales in comparison. Lastly, there are his Grace Kelly films. They are all great movies, but she knocks them down a few pegs for me. I never got what people loved about her complete lack of charisma, she was the January Jones of her era of Hollywood. That’s interesting that you have reservations about some of Hitchcock’s most widely loved movies. Certainly with regard to Notorious I feel the treatment of women was a product of the time period (not that it makes it right) and enjoy it for it is in this context while allowing Hitchcock’s perfect construction of thrills to win me over. Grace Kelly might not have been the strongest actress but she had a radiant beauty that seems to shine through the screen. Hitchcock was great at capturing that. So, he’s a director I love, and he’s made a lot of great films, but some genuine stinkers as well. Great selection of favourites Bill. By the looks of things we tend to agree on a lot of his movies bar Notorious. 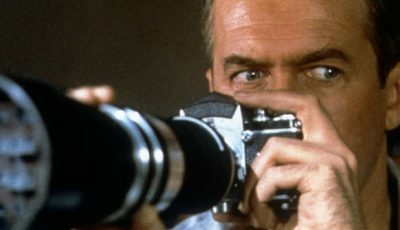 Vertigo is right up there for me – indeed, I could quite easily argue that it is my number one but I have a soft spot for Rear Window (which is partly due to my liking of Grace Kelly) alongside its obvious technical merit that encourages me to name it my top choice. Regarding some of his unmentioned work – I do love Frenzy as well while Marnie has always left me cold. I’ve only actually seen two movies from you “Blah” and “Terrible” choices.